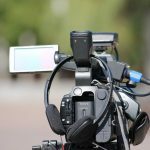 Home Buying Guides Canon VIXIA HF R40 Review: Is It Still Relevant? Canon VIXIA HF R40 Review: Is It Still Relevant? 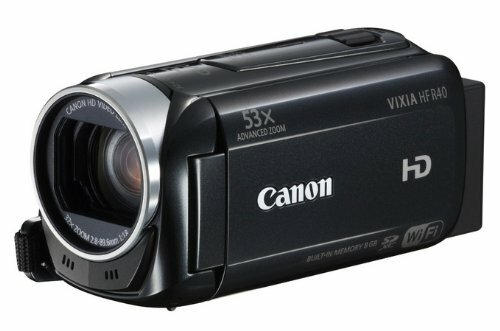 Do you question whether entry-level HD camcorders like the Canon VIXIA HF R40 are still important in this day and age? The answer is that they indeed are. While some smartphones can capture decent HD video, it’s nowhere near what you can achieve with the right lens and settings. You also get different formats and frame rates, better handling, and a bunch of features that improve footage and storage of video. The Canon VIXIA HF R40 is a great example since it has these features and design advantages in spades. And it’s a good reminder that you don’t have to waste your phone’s memory on shaky, phone-quality videos when you could get an affordable HD camcorder. The Canon VIXIA HF R40 is one of Canon’s better entry-level camcorders. Compared to the stripped-down R400, the main advantages are internal memory and Wi-Fi. While it’s a budget-oriented camcorder, its design doesn’t give a cheap impression. It has a reliable build, and you can hold it comfortably for long periods of time. 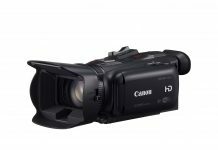 Unlike many entry-level camcorders, the Canon VIXIA HF HF R40 can record full HD video at 60fps. The DIGIC DV 4 image processor reduces noise and improves low-light footage, although dark scenes won’t look great on any budget camcorder. You have the option of MP4 encoding and different resolution choices so that you can fit a fair amount into its flash memory. The Canon VIXIA HF R40 has two SD card slots so you can record many hours of video. Advanced Zoom extends the 32x optical zoom to 53x without noticeable quality loss. With the SuperRange optical stabilizer, it keeps footage smooth even while zooming. Wi-Fi isn’t a gimmick with the Canon VIXIA HF R40. You can use a smartphone to control the camcorder and see its status or to live stream or upload video. There’s a special Baby Mode that optimizes settings for baby footage. It saves all footage in a dedicated folder and lets you add captions, stamps, and animations to the video. You control most things via the touchscreen, so there are few buttons. The touchscreen is capacitive and responsive, with good image clarity and easy menus. You can tap it to set your focus, just like on a smartphone. The Canon VIXIA HF R40 has dependable auto features. It detects faces, adjusts backlight, and more. You can still set focus, white balance, and exposure manually if you like. There aren’t many settings to change though. 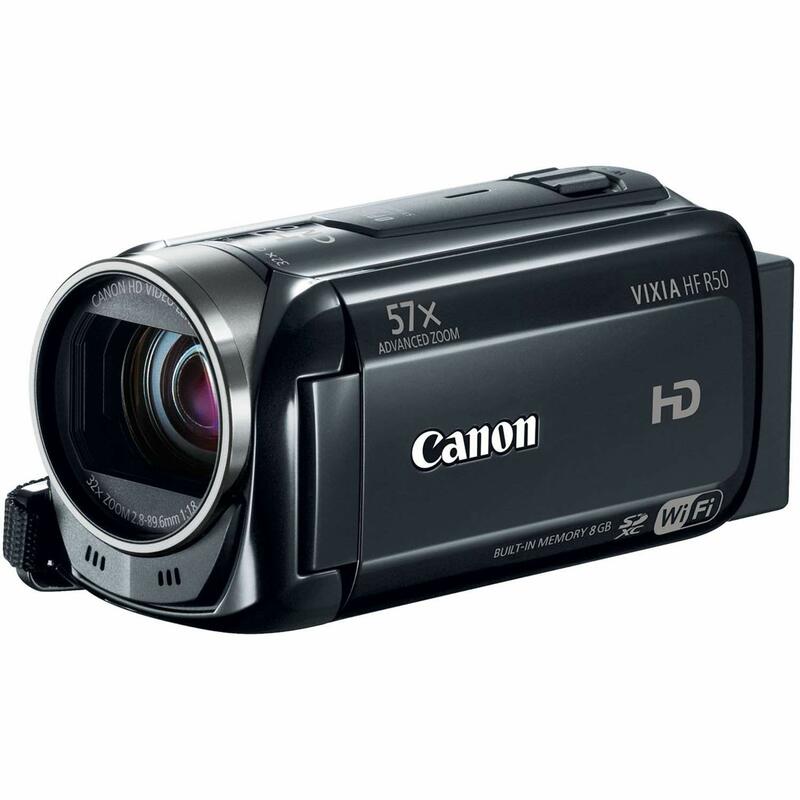 Unlike many camcorders in this price range, the Canon VIXIA HF R40 gives you frame rates from 24p to 60p. However, you can only use 24p with the MP4 format. But this is the more convenient format in most cases anyway. You can also record both formats simultaneously. The video quality is excellent with vivid colors and smooth motion, as long as lighting conditions are ok. It’s suitable for recording sports and such. Shooting in the dark produces a lot of noise and inaccurate colors. This won’t be a problem with normal use, although you may still find some noise in dark spots if you zoom in. The sound quality isn’t bad either, and it won’t pick up camcorder noise or light wind under normal conditions. Since it can live stream, it also works as a surveillance camera. It can create seamless video across its memory storages. One way to make good use of this is to leave the internal memory as a safety buffer so that if your SD cards fill up, it’ll keep recording. Users like the vivid image quality, the good touchscreen, and the plentiful memory. Their main complaint is its low-light performance. They give it a 3.6 out of 5 stars rating on Amazon. 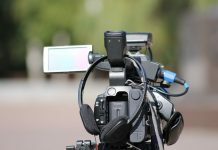 With so many consumer camcorders on the market, you can only know their quality in comparison to each other. So we’ll compare it to the Sony HDR-CX240, Ansteker Ultra-HD, and the upgraded VIXIA HF R50. These reviews resulted from thorough research of online reviews and customer experiences. Amazon customer reviews are the primary source. The HDR-CX240 HD Handycam provides full HD 60p video at an affordable price. It has a Zeiss Vario-Tessar lens and SteadyShot image stabilization. So it’s a formidable entry-level Handycam. The first noticeable difference between the Sony HDR-CX240 and the Canon VIXIA HF R40 is that the Sony has a small non-touch display and several physical controls. You’ll be familiar with the joystick and buttons if you’ve used other Handycams. The next significant difference is that it has no Wi-Fi, unlike the Canon VIXIA HF R40. Nor does it have internal memory. 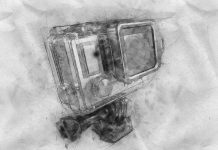 The stabilizer’s Active Mode and three-way shake canceling provide extra compensation for shaky recording. Whether you use a wide angle or a deep zoom, you’ll get a steady result. A face detection function helps set the focus right for portraits and crowd shots. It can detect up to eight individual faces at once. It even distinguishes between adults and children. The Clear Image Zoom feature extends the 27x optical zoom to 54x. It’s not as powerful as the Canon VIXIA HF R40, but still a strong zoom. Low-light conditions are where the HDR-CX240 has an advantage. Other than that, image quality seems a bit fuzzier than on the VIXIA HF R40. It allows for dual recording, just like the VIXIA. This is great if you want a quick preview to upload while retaining high-quality video for editing. The Intelligent Auto feature not only adjusts things like focus, but it also mixes and matches different effects and presets to adapt to whatever scene it’s sensing. You can combine presets manually as well. It also adapts to audible noise levels to improve sound quality. It employs voice enhancement and noise reduction to keep things clear. There’s no microphone input though. Users like the lens, ease of use, and good value. What they don’t like are the menus and the minimal features. This grants it a 4 out of 5 stars rating on Amazon. Big-name brands aren’t always the only relevant options. If all you need is a consumer camcorder with HD video, budget options like the Ansteker can be what you seek. The most notable physical feature is the included boom mic. It mounts on a hot shoe so that you could use other accessories too. There’s also a secondary camera on the display panel. You get its footage superimposed on the main video in a little window. It can turn to record your face or something off to the side. You get a wide angle lens, a macro lens, and two batteries. But the camera only fits in the case with nothing attached. The batteries don’t hold a charge for very long, and you can expect an hour or two if you bring both. While it says 4K on the casing, it doesn’t provide the clarity you think of when you think 4K. Its 1080p footage isn’t bad though. And you can supersample from 4K for more definition. In its 4K mode, it only records in 24fps, while you can get 60fps in HD mode. You can also capture slow motion video. While it can zoom, you quickly get a lot of pixels and noise. Furthermore, you can’t focus yourself; it’s all automatic. It’s somewhat heavy for a simple point-and-shoot camcorder. But that’s better than a flimsy build that breaks fast. It uses hybrid image stabilization, but it only works properly for still images. Furthermore, there’s some noise reduction, both visual and audible, but it’s not the best. Compared to the Canon VIXIA HF R40, this camcorder’s video is a bit grainy and washed out, especially in low light. Its system is also quite buggy. However, it has night vision, which the Canon doesn’t. It’s one of those camcorders that tries to be a lot but doesn’t excel at anything. So, it makes a good option if all you need is a basic HD camcorder for YouTube or home videos. Otherwise, you’re better with a brand-name option like the Canon VIXIA HF R40. Buyers like the accessories and ease of use. Their biggest complaints are the image quality and battery life. Its Amazon rating is 4.0 out of 5 stars. Here’s the sequel to the Canon VIXIA HF R50. Not a whole lot is different on the outside, and it’s hard to tell them apart. However, there are some significant changes on the inside. Not much has changed. It’s lighter, but they’re the same in general. That’s understandable since the Canon VIXIA HF R40 was so well-received. However, the Advanced Zoom goes to 57x, and the auto logic has improved. When it comes to software, the biggest differences are in the baby mode. They’ve refined it and added new functions. You can now track the growth of up to three children. Since your child’s firsts tend to come as a surprise and have you rushing to get the camera up and running, they’ve designed baby mode to choose the best settings fast. It also has the pre-rec activated by default, so that you get three additional seconds of footage before you hit rec. So in case you just missed the beginning of that first word, you’re still good. You can enter the child’s birth date into the system, and the system will track and label videos with their age in days. The extra zoom is useful if you like shooting wildlife or nature time-lapses. Canon’s stabilization system is at least as good as in the past. 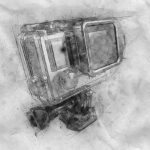 Even in deep zoom ranges, you’ll get steady footage. You can choose between 1080p and 720p resolution, and 24 or 60 frames per second. There aren’t many manual controls. It seems simpler than the Canon VIXIA HF R40 in some ways. However, Wi-Fi and smartphone connectivity have improved a bit. You can upload to YouTube or Facebook straight from the camcorder. Or show the video through your web browser. It’s also compatible with the CT-V1 pan table, which you can control with a smartphone app. So you can get a full panorama view, which is especially useful for surveillance purposes. Users like the video quality and versatile features. They don’t seem too happy with the somewhat complicated PC/smartphone transfer system. This camera has an Amazon rating of 4.2 out of 5 stars. Overall, the Canon VIXIA HF R40 performs better than the Ansteker, and it has some features that the Sony doesn’t. For example, a microphone jack. It’s a viable option for all hobby videographers. Few camcorders perform well in the dark, and those that do are expensive. So that’s no differentiator between the Canon Vixia HF R40 and the HDR-CX240 Handycam. The Ansteker seems worse in that regard. But both competitors have night-vision and the Handycam’s lighter. The Canon VIXIA HF R40 is an excellent camcorder for home video and vlogging purposes. There’s plenty of storage with both SD slots in use, and its battery life keeps up. So it’s great for sports games and music recitals. Throw in the Baby mode, and you’ve got an ideal family camera for precious memories and hobby projects. A Canon VIXIA HF R40 is undoubtedly one of the top candidates in this price range. Canon VIXIA HF R40 offers great quality HD video for a very competitive price. The only drawback of this model is that it has poor low-light performance.